Your iPhone has a number of different keyboards that can be installed as needed. Most of these keyboards are free, and provide characters from foreign languages that you can use to type with. 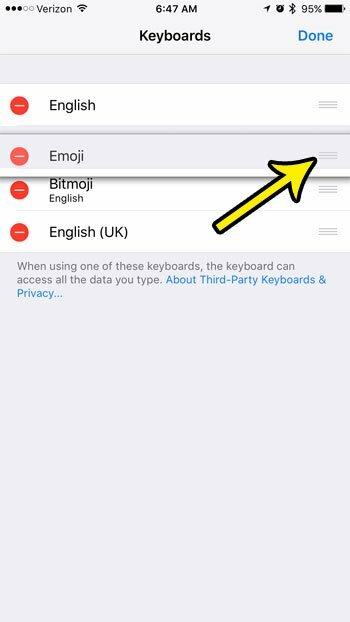 You may have already installed the emoji keyboard, for example, so that you can send those tiny characters to your message contacts. But if you have more than two keyboards on your iPhone, you might not like the order in which they are listed. 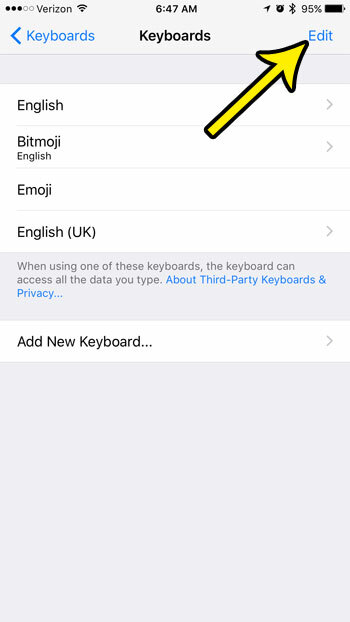 For example, if you tap the globe icon at the bottom of your default keyboard, then second keyboard that appears might be a keyboard that you don’t use often, and you would like the emoji keyboard to appear second. 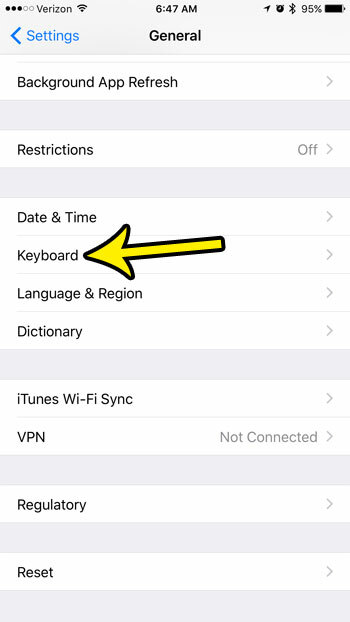 Our guide below will show you how to adjust the keyboard order on the device. This tutorial was performed on an iPhone 7 Plus in iOS 10.3.2. 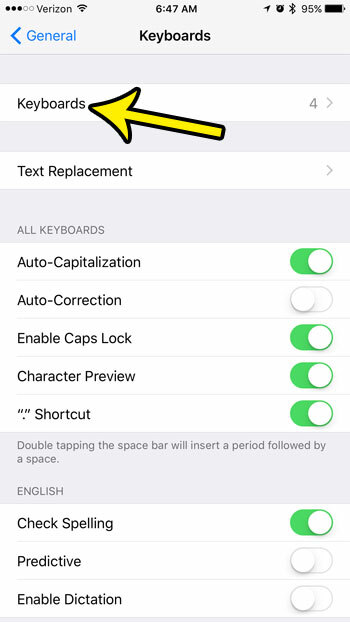 This article assumes that you currently have at least two keyboard installed on your iPhone, and that you would like to change the order in which they are accessible. Step 3: Scroll down and choose the Keyboard item. Step 4: Tap Keyboards at the top of the screen. Step 5: Touch the Edit button at the top-right corner of the screen. Step 6: Tap the icon with the three horizontal lines on it to select the keyboard, then drag it to its desired place in the order. Once you have finished moving around your keyboards, tap the Done button at the top-right of the screen. 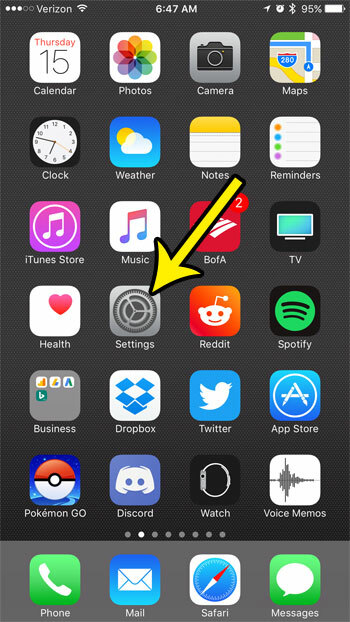 You will notice in step 6 that there is also a red circle to the left of each of your keyboards. 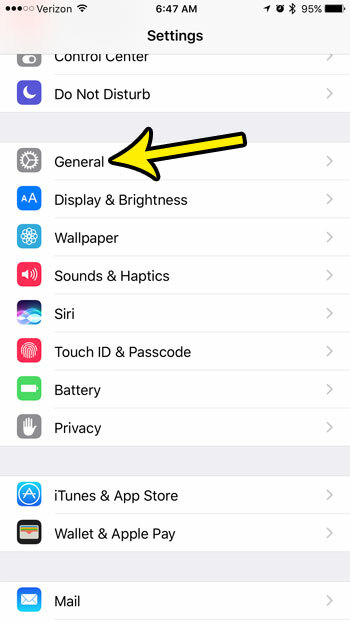 If you have a keyboard installed that you no longer use, tap the red button to delete the keyboard from your iPhone. You can always install it again later if you decide that you need it. Do you often hear people talking about emojis and Bitmojis and wonder what the difference is? This guide will show you how they differ and how you can use both keyboards on your device.